We at Ivy Coach love days like yesterday, when our students achieved their dreams. 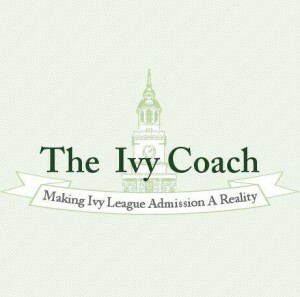 Yesterday was an exciting day for us here at Ivy Coach. We had more traffic yesterday to our website than in any day in our company’s long history. Our traffic naturally always spikes in December and at the end of March when college decisions come out, but yesterday’s traffic was unprecedented. We are extremely proud to have created the largest online community for information on highly selective college admissions. But that’s not why we’re stoked. We are stoked for our Ivy Coach students! Sure, the parents of our students pay quite a bit for our services. But when their students experience the joy of getting admitted to schools like Harvard, Yale, Duke, and Dartmouth, it’s a most wonderful moment that comes but once in a lifetime. When a daughter leaps off the ground after receiving an email from Duke that she is being offered the chance to be a Blue Devil and the mother behind her cries tears of joy, it’s unbelievable. When a son calls his father, an American immigrant, to let him know that he earned a spot at Harvard University, that all of his hard work paid off in spades, it’s a moment the father will never, ever forget. Our students are often surprised that we want to know all of the details of how they told their parents the amazing news of their lives but why wouldn’t we? This is why we are in this business. We want to hear how our student’s mom reacted to the incredible news (we can’t believe one of our students told his mom via text message!). But the unmistakable pride in his mother’s email to us in her son’s accomplishment made for such a wonderful day for us as well. Congratulations to all of our students who earned admission to some of America’s most highly selective colleges yesterday. We hope that the joy of learning the good news stays with you always. We hope you always remember the pride in your parents’ eyes. And we hope you have a most incredible four years at the college of your dreams.